Most people know that they should have a will, or that their existing will should be reviewed, changed or updated; but too few take the simple affirmative step to accomplish it. Instead, they procrastinate and fail to protect their loved ones by completing a will, or by keeping their will current. Harold and Christopher Otterbeck have prepared countless wills, and assisted innumerable clients in the preparation of estate plans. 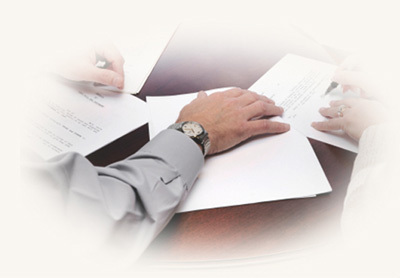 Our goal is to have our client(s)' assets pass to their loved ones in an orderly and economical fashion. For those of you who have a will in place, it may be time for you to review it and your estate plan. So many people execute a will at one time in their life, and never revisit it. Hopefully, this is not you. Over time, your finances, the economy, your family situation, and the law, change. Your will and estate plan may require change as well. Over the years, the practice surrounding will preparation has changed. In the past, generally only a will was executed. Today, at the time of will execution, it is considered good practice to not only execute a will, but also, a health care proxy and a durable power of attorney. These documents are as important, if not more important, than the will itself. For example, it is extremely likely that individuals, who may have executed a will at a time prior to the effective date of the New York State health care proxy law, do not have a health care proxy in place. The health care proxy permits you to designate someone of your choosing to make health care decisions for you if you are unable to communicate them to your doctor. Consequently, if you have a will that was executed before the passage of this law, or if you don't have a will, it is likely that you don't have a health care proxy either….but you should! A durable power of attorney permits individual(s), whom you designate, to make financial and asset decisions for you if you are unable to do so. This law has recently changed as has the form which should be used to give someone this power.